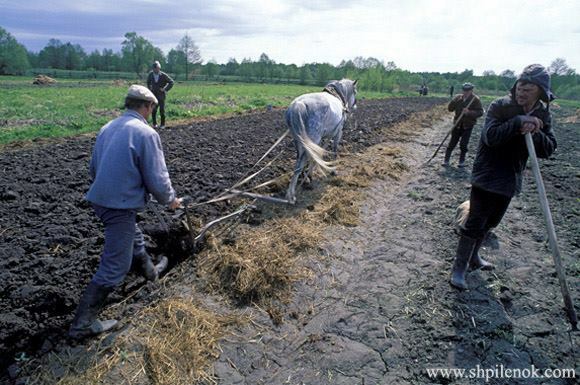 Aza was born in the neighboring village of Smelizh on July 14, 1987 - the same day Bryansky Les Zapovednik was founded. Like all gray horses, her coat started out black, then turned a dark dapple gray, and eventually went white in her old age. Her mother belonged to the zapovednik, so Aza grew up by Igor’s side. 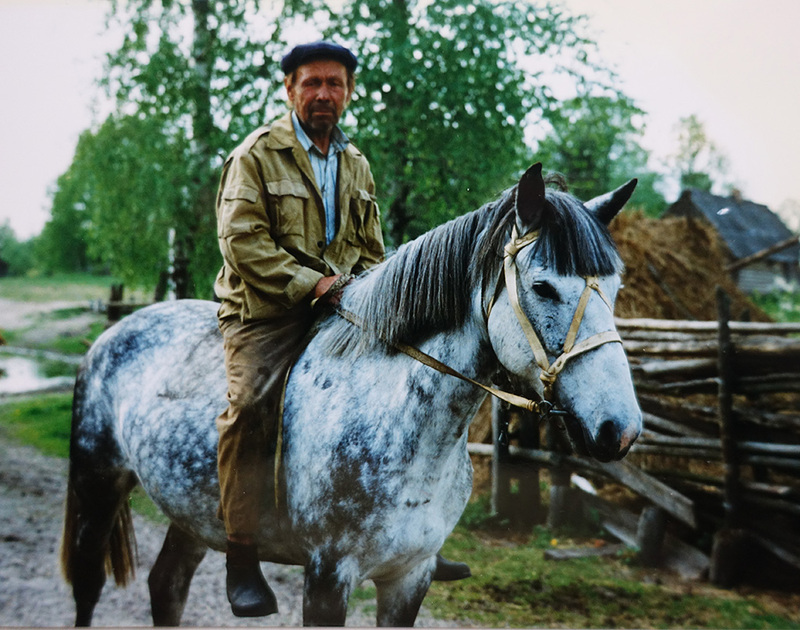 For many years, Aza was Igor’s main form of transportation in the nature reserve. 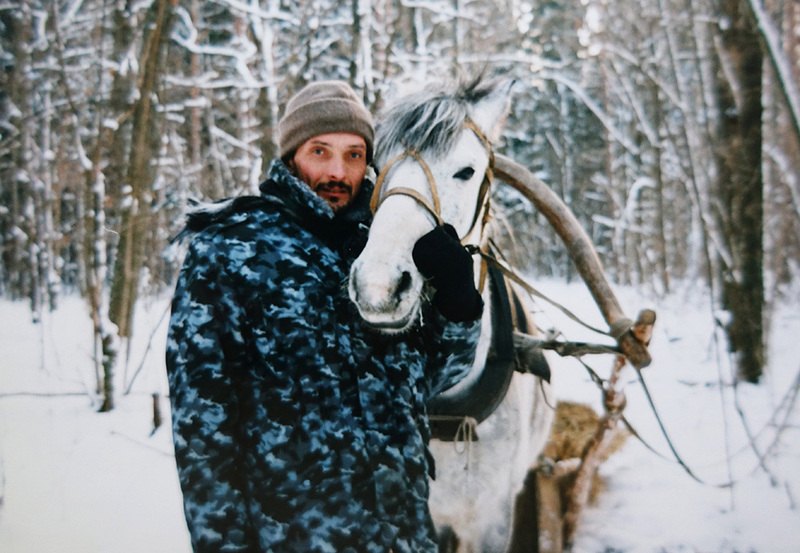 And for good reason: with no roads and plenty of swamps and deadfall, the best way to patrol the zapovednik was from the back of a horse. Igor and Aza detained many poachers over the years. Maybe that is why one very cruel poacher took an axe to Aza one night and nearly chopped off her hind leg at the stifle. For months, Igor nursed her back to health and, thankfully, she survived. I first met Aza when she was 10 years old. Since Igor only had the one horse, we would take turns riding her through the woods, or we would ride double. In the winter, we harnessed her to the sleigh. We could see more wildlife from the back of a horse or in the sleigh than on foot, because wild animals aren’t afraid of horses. We could sneak up quite close to moose, roe deer, or wild boar, before they realized that humans were present. One of my favorite pastimes was our “winter safaris,” when we would head out in the dark of night, with Aza pulling us over the glistening snow in the sleigh. We would take a powerful flashlight and direct it out over the floodplain meadows near our village. Dozens of pairs of wild eyes would glimmer in the darkness, observing us for a spell, while we, in turn, observed them. 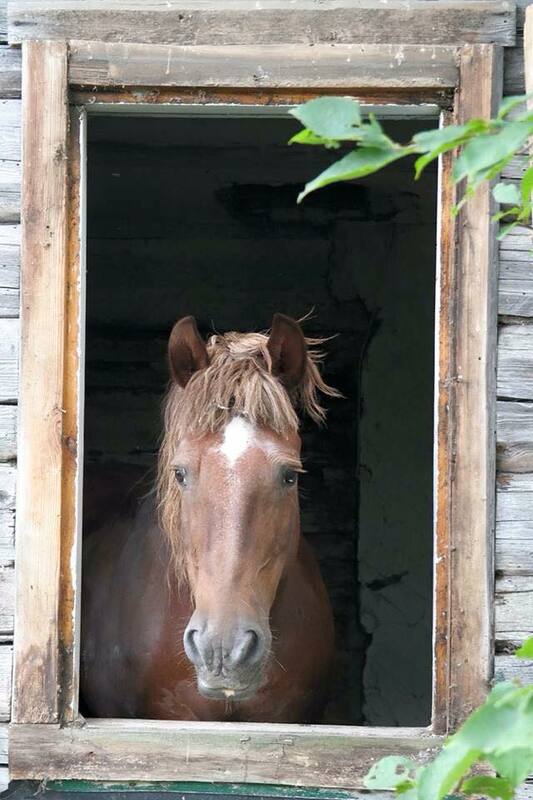 Aza mostly lived alone here in Chukhrai, although on rare occasions Igor’s father would leave his old chesnut mare, Anfisa, with us. 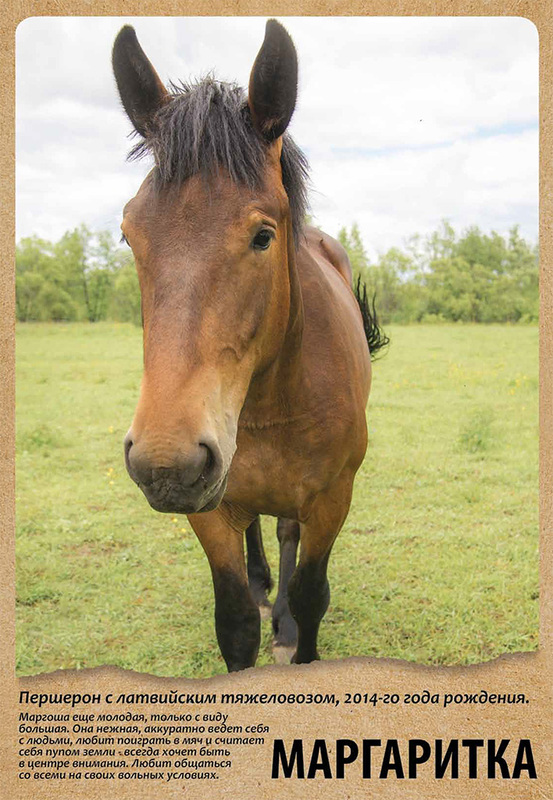 So you can imagine how Aza and I were equally surprised, when a three-year-old black stallion named Orlik suddenly appeared in the corral one morning: Igor’s present to me on my 28th birthday. 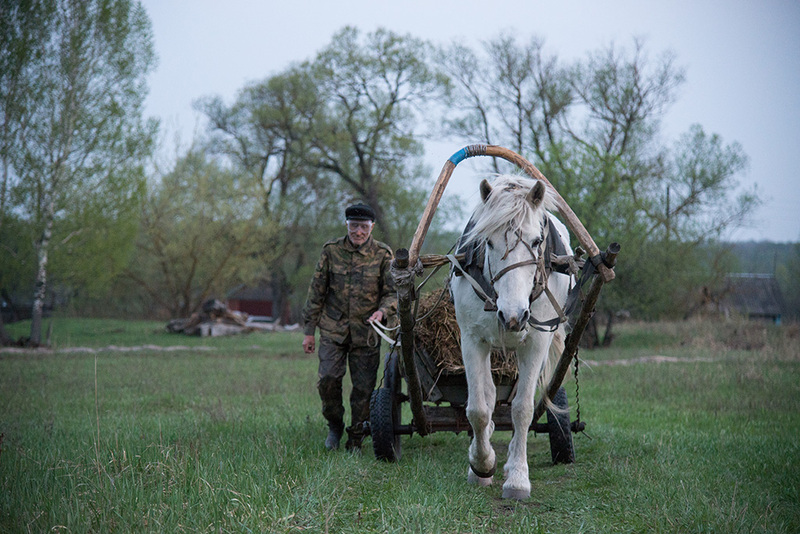 Igor probably soon began to regret it: I spent more time with Orlik than with him, and gave my new horse more food and attention. On the upside, Aza had gained a friend and a mate (and later a filly) and now Igor and I could ride together. One wintery night, we were out patrolling the boundary of the reserve. Igor was driving Aza in the sleigh, his son Petya was driving Anfisa in a second sleigh, and I was riding Orlik under saddle. We came upon wheel tracks leading from the zapovednik into the buffer zone. We followed the tracks and soon made out two poachers aboard an ATV, quickly retreating into the darkness. We shined our powerful flashlights after them and galloped in pursuit. The ATV headed out into the Desna River floodplain, which had flooded during a mid-winter thaw and then frozen solid, forming an even and seemingly endless sheet of ice. Without experience carrying a rider under such hazardous conditions, Orlik slipped on the ice and fell under me. I jumped off, unharmed, but Orlik was lame, so I led him for the rest of the chase. The old mare Anfisa soon tired with Petya in tow and was also left behind. Only surefooted Aza kept up with the ATV, sailing at a fast gallop over the ice with Igor and sleigh. The frozen floodplain was dotted with bare willow thickets, and after crashing through a few of these, one of the ATV’s wheels was punctured, and the poachers had to stop. Aza promptly caught up, and Igor was able to detain them. When they realized that Igor was driving a sleigh – they were shocked. With the powerful flashlight shining its beam at them and the speed of the chase, they were sure that he had been on a motorcycle! That wasn’t the only time Aza saved the day. Another time, four gypsies came to Chukhrai under the premise of selling clothes and approached one of our elderly neighbors with their wares. When they saw the old man open a chest to get his money, they pushed him aside and stole his entire life savings. The old man came to our house and asked us to call the police (via two-way radio to the zapovednik office – there were no cell phones then and we didn’t have a landline). I was just saddling up Aza for a ride. Igor contacted the police and then jumped on Aza and galloped off in hot pursuit. The gypsies were driving an Oka car. About six kilometers down the forest track, Igor caught up to them when they got stuck in the mud. He and Aza held the four of them there, herding them into a group until the police arrived sometime later. There are many more stories like that about Aza than there is time to write. But Aza wasn’t just a heroine, an accomplished zapovednik ranger (инспектор), and forest guide. She was a member of our family and a valued member of the community. 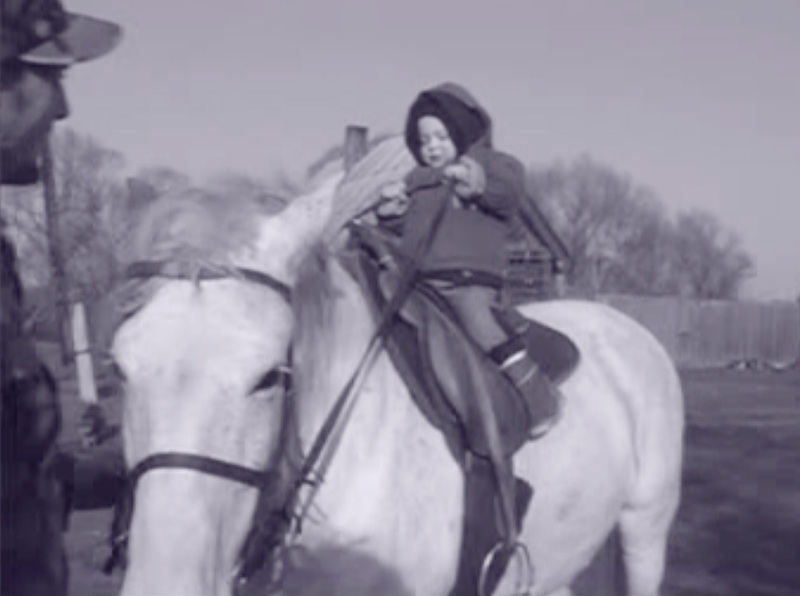 She taught my boys to ride before they could walk. She was the only horse Igor trusted to carry him and his delicate photo equipment. 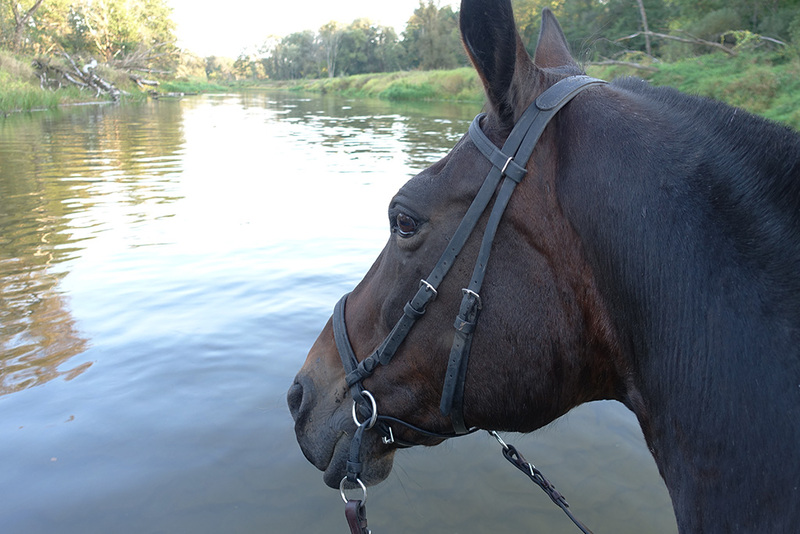 Once I got lost riding her in the forest, and when I released the reins to her neck, Aza brought me safely home. Each year she plowed the fields for all the villagers: she pulled the plow straight and steady and didn’t need to be led. Aza died two years ago today, less than a week before her 26th birthday. I had just dropped the boys off with their grandparents in the US and returned home to Chukhrai for only three days before heading out to Siberia to catch up with Igor on his cross-country expedition. Those were the three days I watched Aza die. 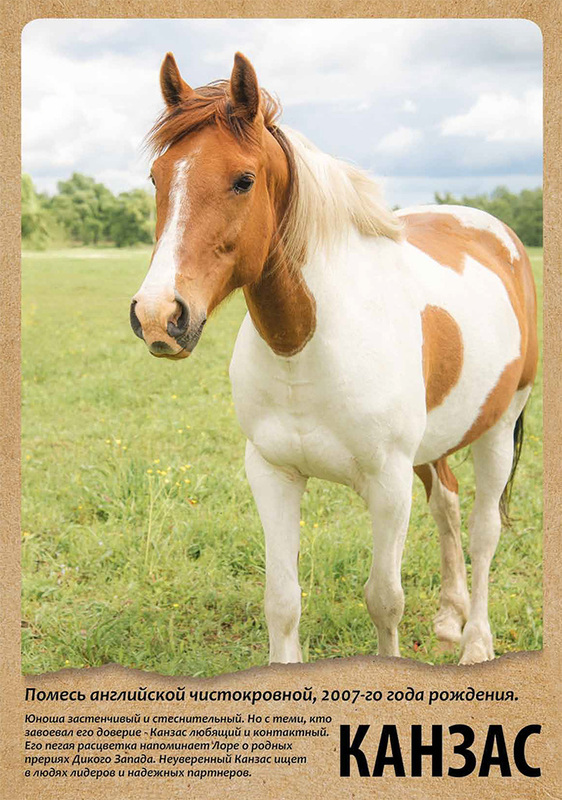 We think she may have developed colic and despite the efforts of a local veterinarian and our constant vigilance and walking her in circles, she began to fade. I asked the vet to humanely euthanize her, but he said that as he was a God-fearing soul, he only healed animals, but didn’t kill them. The rest of the story is quite sad, so I won’t go into detail, but suffice it to say that we tried to make her as comfortable as possible. Just moments before she finally passed, I was in the kitchen making lunch and felt a sense of urgency that I must go see Aza at once (I had been checking on her hourly). I went outside to where she lay, covered in a wet sheet to keep her cool and the horseflies off her. She hadn’t moved at all that day, and all I could hear was her heavy breathing. 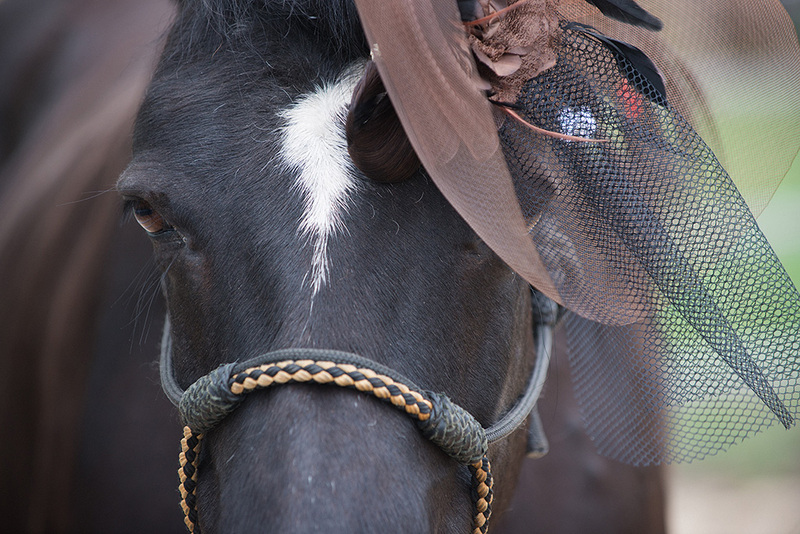 But at that very moment, as I knelt down and put her head in my lap, she arched her neck slightly and all four legs began to beat quickly in the air, as if she was breaking into a fast trot off to heaven, and then she was gone. That day the entire village came to bury Aza. They arrived with shovels in hand and dug an enormous grave in the pasture near her favorite wild apple tree. They spoke kind words about her at our funeral-of-sorts. I was moved to tears. Aza had made her mark on our lives, but she had moved on to greener pastures. Loyal to the end did she stand. Never to let them hit the ground. Bearing him a filly who refused to behave. And when she died, they all buried her and shed a tear. Аза - серая кобыла с цыганским именем. Аза родилась в соседней деревне Смелиж 14 июля 1987 года - в тот же самый день, что был учреждён заповедник «Брянский Лес». Как и у всех серых лошадей, её шерсть сначала была вороной, потом стала тёмно-серой в яблоках, а в конце концов поседела от старости. Её мать числилась за заповедником, так что Аза выросла рядом с Игорем. Много лет Аза была для Игоря основным видом транспорта в лесу, и ясно отчего: без дорог, но с обилием болот и бурелома, лучший способ патрулировать территорию - это верхом. За эти годы Аза с Игорем задержали немало браконьеров. Может быть, именно поэтому однажды ночью браконьер-отморозок ударил Азу топором и без малого отрубил ей заднюю ногу в коленном суставе. Игорь ухаживал за ней несколько месяцев и, по счастью, она выжила. Я познакомилась с Азой, когда ей было 10 лет. Поскольку лошадь у Игоря была одна, мы ездили на ней по очереди или садились на неё вдвоём, а зимой запрягали её в сани. Наблюдать диких животных легче с лошадиной спины или из саней, поскольку те лошадей не боятся, и мы могли близко подбираться к лосям, косулям, кабанам, пока до них не доходило, что здесь еще и люди. Одним из моих любимых занятий были «зимние сафари», на которые мы отправлялись посреди ночи. Аза тянула сани по мерцающему снегу. Вооружившись мощным фонарём, мы прочесывали пойменные луга около нашей деревни. Десятки пар звериных глаз светились в темноте, наблюдая за нами, а мы – за ними. В Чухраях Аза в основном была в одиночестве, хотя изредка отец Игоря оставлял с нами свою старую гнедую кобылу Анфису. Можете представить, как удивились мы с Азой, когда внезапно в одно прекрасное утро в загоне появился вороной жеребец-трёхлетка Орлик – подарок Игоря на моё 28-летие. Вероятно, Игорь скоро об этом пожалел: с Орликом я стала проводить больше времени, чем с ним, кормила его лучше и вообще уделяла больше внимания. С другой же стороны, у Азы появился приятель и партнер (а попозже – и жеребёнок), и теперь мы с Игорем могли вместе ездить верхом. Однажды зимней ночью мы патрулировали границу заповедника. Игорь ехал в санях, запряжённых Азой, его сын Петя – во вторых санях, которые тянула Анфиса, а я – верхом на Орлике. Мы обнаружили следы колёс, ведущие из заповедника в охранную зону; поехав по ним, мы скоро увидели двух браконьеров верхом на квадрицикле, которые быстро исчезли в темноте. Мы включили свои мощные фонари и начали погоню. Квадрицикл выехал на луга вдоль реки Десны, которые затапливало в середине зимы во время оттепели, а потом снова заморозило, так что образовался ровный и на вид бесконечный ледяной каток. Не имея опыта скачек со всадником в таких опасных условиях, Орлик поскользнулся и упал. Я успела спрыгнуть без вреда для себя, но Орлик повредил ногу, и дальше мне пришлось вести его в поводу. Старая кобыла Анфиса скоро устала тянуть сани с Петей и тоже отстала. Только Аза неслась по льду уверенным галопом, не отставая от квадрицикла. Луг перемежался с зарослями ивы; проломившись сквозь несколько таких зарослей, браконьеры прокололи колесо и вынуждены были остановиться. Аза быстро их нагнала, и Игорь смог их задержать. Когда они обнаружили, что Игорь преследовал их в санях, запряжённых лошадью, они были потрясены. Ослеплённые светом фонаря и судя по скорости погони, они были уверены, что он ехал на мотоцикле! Это был не единственный случай, когда Аза отличилась. Как-то четверо цыган заявились к старику в Чухраях, якобы продавать одежду. Когда он полез в сундук за деньгами, они оттолкнули его и забрали все его сбережения. Старик пришёл к нам и попросил вызвать полицию (мы могли общаться с конторой заповедника по рации – телефона у нас не было, а мобильников еще не изобрели). Я как раз оседлала Азу для прогулки; Игорь вызвал полицию, а потом вскочил на Азу и пустился в погоню. Цыгане приехали на «Оке»; примерно через 6 километров лесной дороги Игорь догнал их машину, застрявшую в грязи, и они с Азой сторожили воров до прибытия полиции. Аза проявила себя ещё во многих таких эпизодах – больше, чем у меня есть времени на их описание. Но она была не просто героиней и не просто заслуженным инспектором заповедника. Она была членом нашей семьи и уважаемой жительницей нашей деревни. Она научила моих сыновей ездить верхом до того, как они научились ходить. Она была единственной лошадью, которой Игорь доверял настолько, чтобы возить на ней своё хрупкое фотооборудование. Однажды верхом на ней я заблудилась в лесу; тогда я бросила поводья, и Аза привезла меня домой. Каждый год она вспахивала огороды всем жителям деревни, и тянула плуг так прямо и уверенно, что её не надо было вести за повод. Аза умерла 2 года назад в этот день, меньше чем за неделю до своего 26-го дня рождения. Я как раз отвезла детей в Штаты к бабушке с дедушкой и вернулась в Чухраи на 3 дня перед тем, как ехать в Сибирь, где я должна была встретиться с Игорем, находящимся в экспедиции. За эти 3 дня и умерла Аза. Похоже, что у неё начались колики; она увядала несмотря на усилия местного ветеринара и все наши старания выгуливать её по кругу. Я хотела, чтобы ветеринар гуманно её усыпил, но он сказал, что он человек богобоязненный и только лечит животных, но не убивает их. Конец этой истории очень печален, и я не буду вдаваться в подробности. Достаточно сказать, что мы старались облегчить её страдания, насколько могли. За какие-то мгновения до того, как Аза отошла, я находилась в кухне за приготовлением обеда, и почувствовала, что мне срочно нужно пойти к ней (я навещала её каждый час). Я вышла к ней – она лежала, накрытая мокрой попоной, чтобы ей было прохладнее и не донимали слепни, и не двигалась уже целый день; я лишь слышала её тяжёлое дыхание. Но в тот момент, когда я присела перед ней и положила её голову к себе на колени, её шея слегка выгнулась, и все четыре ноги забились в воздухе, как будто она уходила в небо быстрой рысью... и вот её уже нет. В этот день ко нам пришла вся деревня. Они принесли лопаты и выкопали огромную могилу на пастбище рядом с её любимой дикой яблоней. На импровизированных похоронах они говорили добрые слова об Азе. Я была тронута до слёз. В нашей жизни Аза оставила свой след; но сейчас она переселилась в лучший мир – там, где трава зеленее. Большое спасибо Михаилу mb_b за отличный перевод. Андрей на Азе (сриншот с видео). Andrei on Aza (screenshot from a video). 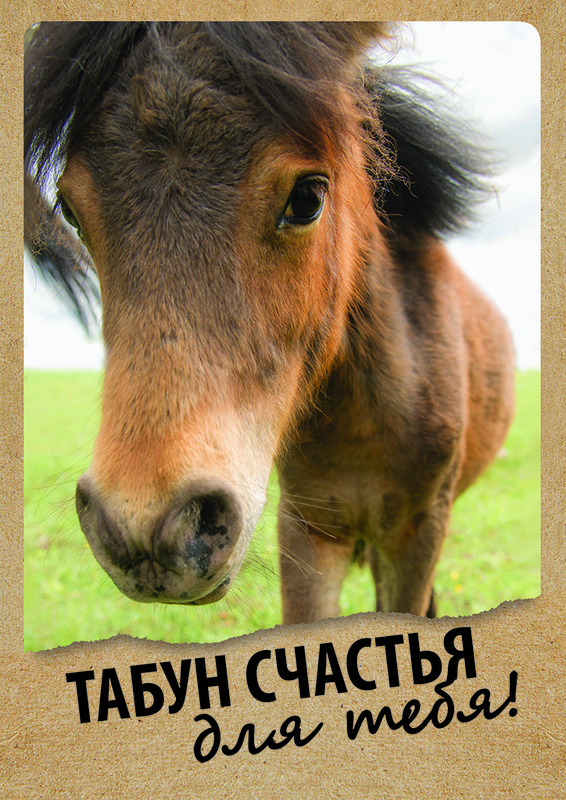 Знакомство с лошадьми: Орлик / Meet the horses: Little Eagle. И в труде, и в бою героиня. До слез. Не написала в прошлые посты, что Вы очень красивы. Переводчик на самом деле чудесный! Во многих местах можно было перевести топорно-дословно, но в русской версии ничего такого нет. Да, чтобы выразить все нюансы моих рассказов, мне лучше все-таки писать на английском, а хороший переводчик, такой как Михаил, напишет на русском намного лучше, чем это сделала бы я. Вот, собственно говоря, почему я стала мало писать - я понимаю, что на русском мне не хватает такого литературного языка. Трогательный рассказ. Доброго коника очень жаль. Если бы не подпись - не узнала бы Игоря. Как хорошо, что Вы снова пишете! Перевод замечательный, но хочу заметить, что roe deer - это косуля. don't think you are worse than they are! We are all of us horses, to some extent! Horse? П.с. только вот с возрастом что-то не то - я сама с 1987 года, и мне 28 сейчас, а не 2 года назад. Т.е. Азе было почти 26. Действительно! Старческий математический маразм у меня. Тем еще жальче - совсем молодая!